Home Blog An Investment In Stock Markets. Is It Gambling? Does one want Money doubling in a jiffy? Tripling returns in weeks. Then take a leap into the stock market. This is commonly heard when one discusses money matters among friends. At the other end of the spectrum is an intense debate whether investing in the stock market is gambling or a skill based on sound knowledge. Many people argue that since stocks are brought with a hope of huge profits it is a form of gambling similar to a casino or a lottery. I have made a killing dabbling in the stock markets is heard more often than not and tempts one to jump into the market with eyes closed. Dabbling is taking a risk in an unknown domain where the probability of a loss is very high with a hope of huge profits. So is dabbling and timing the stock market gambling? Gambling is basically staking ones money on a game of chance like playing cards, dice or a lottery where the outcome is uncertain and involves chance. This chance is taken with a hope of a huge profit .In gambling luck determines if one wins or loses. Gambling is governed by greed and avarice. Greed is a motivating factor where one lives and dies by the consequences. A gambler is nothing but a man who makes a living out of hope. Investing involves committing money to purchase a stock or a thing of value in order to make a profitable return or a financial gain. In an investment the odds are in ones favor unlike gambling because of following sound investment principles. There is no room for greed or fear. However there is a fine line separating greed and investing. If one does not follow the tenets of investing and dabbles and tries to time the market, unlike investing in an SIP and allows greed to be the motivating force then it is nothing but gambling. So why is investing different from gambling? 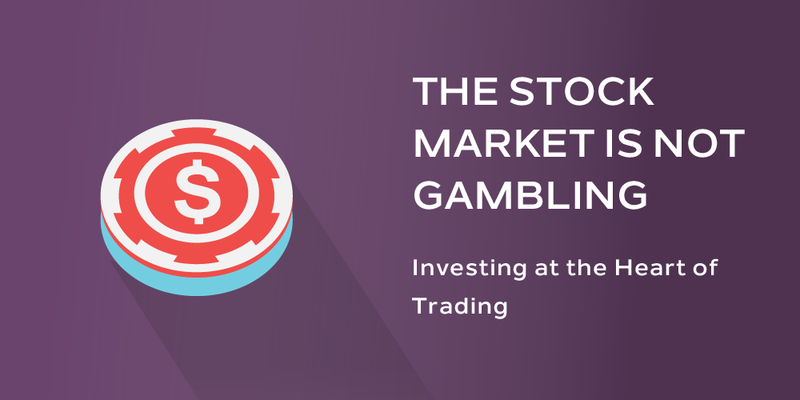 Both gambling and investing aim to minimize the risk one takes and gain maximum profit. A proper investment in the stock market is made based on hard facts backed by research and data. A simple process such as not putting all one’s eggs in a single basket commonly called diversification is a huge differentiator between gambling and investing. In a casino the longer one plays, greater are the chances of him losing everything .One must quit when one is ahead should be the motto but few realize this. They stay longer and lose everything. In a casino the odds are always in favor of the casino. This is rarely understood by the players and they continue playing with the hope of turning the odds in their favor or beating the odds .In a stock market by staying invested for a long period of time or going for the long haul one can realize huge profits. This means over the long term the odds are in favor of the investor. More one stays invested in the markets greater are his profits. Gambling is pure chance. When one tosses the dice or spins the roulette wheel the outcome is not in his hands. An investment in stocks based on sound investment principles backed by research and hard data is a winner. Stock markets reward successful traits and skills like good management. If a Company is run backed by sound management and guidance at the top level it is bound to succeed taking out the chance element. The fundamentals of the Company being good are reflected in the resilience of its stocks. There is profit sharing and this is not a zero sum game. An investment in this kind of a Company gives a huge return. Gambling is a zero sum game where the winner gains everything at the cost of the loser. Investing without research is like playing stud poker and never looking at the cards. In a game of chance such as playing cards one loses everything one bets on and the outcome is zero or negative in case of a loss. A negative return means one is in debt as he would bet on a thing of value which he does not possess .Once the game is over the result or outcome cannot be changed. This cannot happen in an investment in the stock market. In the stock market the profit or loss is notional until actually realized. Even if one loses heavily in the stock market due to a massive fall in prices and does not sell he could cut his losses or even make a profit with time provided he does not exit from the market. In an investment in stock markets one can make use of fundamental analysis such as studying the Companies balance sheets, profit and loss accounts and even conduct sectoral analysis. Past trading patterns can be analyzed using charts in a study known as technical analysis. In the case of gambling no such information is available and even if it is cannot be put to use. Investments are the engine which drives the economy. An investment in the market provides resources necessary to drive Companies. One can not only profit monetarily from an investment in a Company but also contribute to a social cause riding on the corporate social responsibility of the Company. In the case of a pharmaceutical Company the medicines produced benefit the community as a whole. Gambling benefits no one but the casino. It is also regarded as a social evil with Gambling Anonymous set up to cure addicts of this disease. There is no positive impact from gambling. Investment is goal based with a particular set target such as funds for retirement or even ones child’s education. It has a true well defined purpose. Gambling is pure fun, pleasure and excitement with no solid output most of the time resulting in financial loss and ruin. Investing should be more like watching paint dry or watching grass grow. If one wants excitement the casinos of Las Vegas are the place to be. When does an investment in the stock market become gambling? Many times one believes that a stock which has hit its 52 week lows is a good buy. One sees how low this stock is from its 52 week high and concludes that this stock will not only rise but attain similar levels. It is concluded that the upside potential in these stocks is huge .One always needs to check fundamentals as to why the stock prices have crashed. If it has crashed due to fundamental reasons then one needs to be very careful when investing in these stocks. A pharmaceutical Companies share price may have plunged due to regulatory concerns .Does one consider this share a good buy? Many times one frets when the price of a particular share which he is interested in shoots up to levels which are deemed to be too high. Do not fret. The share will soon come back to levels which one considers acceptable is what is commonly felt. Many investors miss the bus because of this kind of an approach which is nothing but gambling .A stock might take years for its price to come down. The stock price might go up further and one might miss the investment opportunity due to the gambling instinct. Investment in stocks always needs to be planned. Purchasing stocks at random without a care for its fundamentals, random and arbitrary purchase and selling of stocks as well as attempts to time the market. All these constitute gambling. 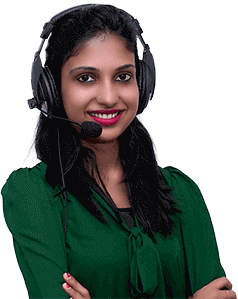 One has surely heard of guaranteed schemes which promise a significant upside potential but limit losses .A minimum guaranteed amount is promised which might be a guaranteed amount minus the fee charged. This kind of gambling with a safety net has caught the fancy of a number of investors. The idea of gambling without losses is a heady and potent mixture. Guaranteed return funds which might be debt funds masquerading as equity funds fuel the gambling instinct. Both investors and gamblers like to take risk. An investor takes a risk known as a calculated risk or a bet. There is an element of certainty and it is perceived that he knows what he is doing. A gambler takes uncalculated and uncertain risks. When an investor invests in the stock market purchasing and selling shares at random he exposes himself to the gamblers itch. Short selling is the practice of selling a share which one does not actually own based on hope that the price of this share will decline and can be bought back at a lower price. The price difference between the purchased and selling price is the profit .So does this constitute gambling? Short selling based on speculation, luck and hope is nothing but gambling. I would like to end this article on a note that investing and gambling is separated by a fine line. One can play the stock markets as an investor or a gambler. If one sticks to the basics or the fundamentals of stock market investing profits can be realized without gambling. If one diverges from the beaten path and indulges in short selling and timing of the market it is gambling. The decision to invest or gamble lies in one’s own hands.